STAFF members at a Yapton care home have received an award for their work. The workers at Warmere Court gained recognition for receiving the highest score rating on a website dedicated to reviewing care. 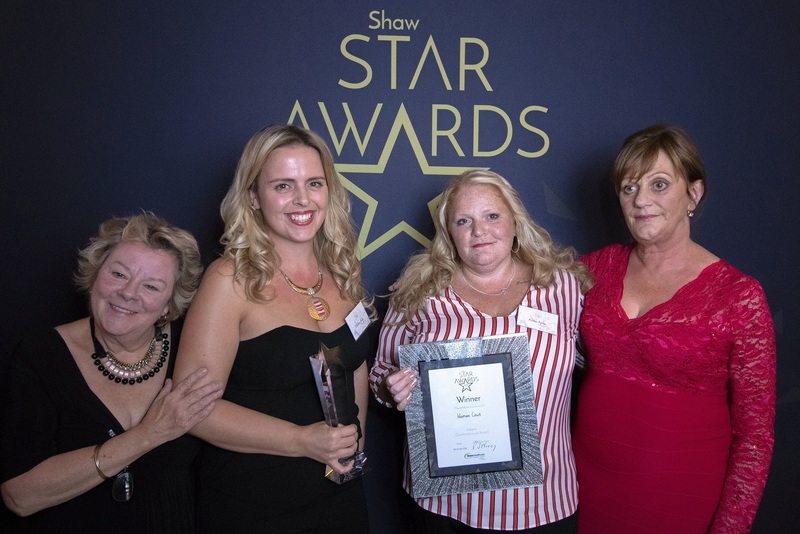 The Carehome.co.uk award was presented at the annual Shaw Star Awards held by the home’s operator, Shaw healthcare. Carehome.co.uk allows the relatives of care home residents to rate their homes based on quality of care and support services, staff, catering, cleanliness, safety and value for money. Warmere Court received a rating of 9.9 out of 10 to narrowly beat a Shoreham home to receive the top rating of all Shaw healthcare’s 80 sites. Mary Latter, manager of Warmere Court, said: “Receiving such a high score on Carehome.co.uk as well as the Shaw Star Award, is a fantastic achievement and is testament to the hard work and dedication of every member of staff at the home. The accolades for Warmere Court, which is a residential and nursing care home with a dementia day centre, were received in front of more than 200 people at the national ceremony in Birmingham. Shaw healthcare’s chief executive, Jeremy Nixey, said: “We’re now in the tenth year of the Shaw Star Award – an evening which truly gives us the opportunity to recognise staff across the company for their hard work, dedication and genuine care they put into their jobs.